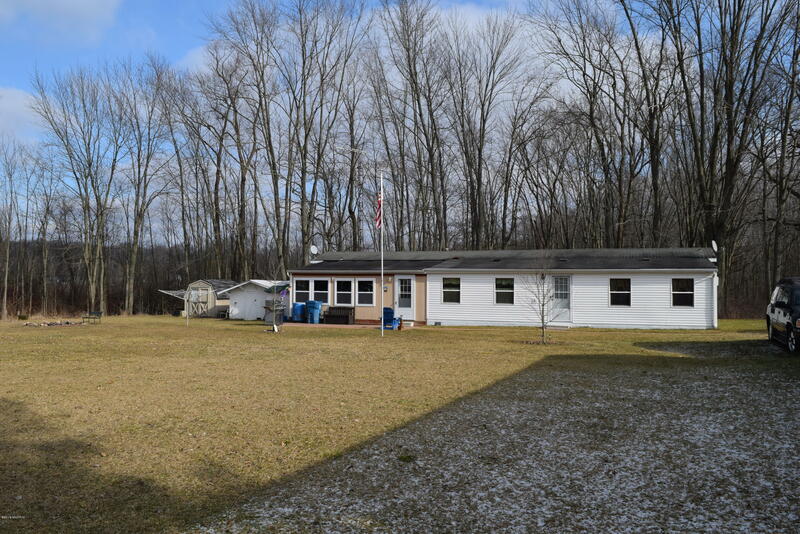 Year around or Lake Get-A-Way!Three bedroom, two bath single wide mobile home with huge addition with 40 x 12 Family Room. Three seasons room too 24 x 12. Lots of room for family and friends. Two lots in the The McClellan's Hy-Da-Way Beach subdivision with shared Private Beach on Long Lake with dock space for your boat, this is the waterfront. Home is on one lot and the 24 x 40 Pole Barn with 220 electric is on the other lot. Nice corner lots with woods on two sides, quiet peaceful area. Calltoday for your personal showing!